Aston Villa’s most recent trips to Chelsea have often resulted in some majorly high-scoring games, but sticking to Andre Villas-Boas’ team winning to nil may be the best bet at Stamford Bridge this season. Ciaran Clark scored an injury-time equaliser in a 3-3 draw at Stamford Bridge in a New Year fixture last season and this result follows a 4-4 draw on Boxing Day in 2007 and a Chelsea 7-1 success in 2010. Looking back at these results may make over 3.5 goals a popular bet at 11/8, but instead under 2.5 goals may prove the more lucrative option at 5/4. Alex McLeish has switched his focus to keeping things tight of late, with the defensive pairing of Stliyan Petrov and Clark being selected in central midfield. Meanwhile, Villa have failed to score in five of their last seven games and chief threat Darren Bent is expected to miss out again because of a groin injury. Therefore, Villa may struggle to score and given that they have conceded exactly two against Tottenham, Arsenal and Liverpool this season, a 2-0 Chelsea victory looks the pick of the correct scoreline market at 6/1. Chelsea are unbeaten in ten home games with Villa and are 2/7 to win again to keep up their pressure for a top-four spot. Frank Lampard may be no longer a regular Chelsea starter, but he has managed five goals in his last two Premier League home games with Villa. 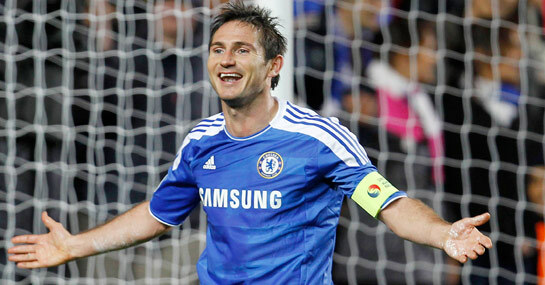 It is 5/1 that Lampard scores first and 5/4 that he strikes at any point in the 90 minutes. Villa have lost just two of their last ten Premier League away games and are 10/1 to beat Chelsea, while odds of 4/1 are available that they secure a draw.